Oh, Lola! is a coy and vibrant addition to the Lola family. Flirtier than her older sister, the Oh, Lola! scent is lighthearted, youthful, and irresistible with an effervescent top note of Raspberry. Her sparkling and easy charm is reflected in a heart of Peony and Magnolia, while her sensuality is uncovered in the addictive Vanilla drydown. 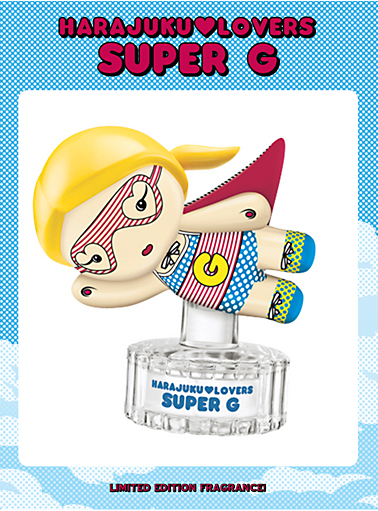 If you loved the achingly cute G of the Sea summer fragrance, then the new Super G will be right up your street. The limited edition fruity floral blend quenches with a cocktail of Tangerine and Pineapple, a heart of Banana Nectar and Yellow Freesia, and a sweet drydown of Musk, Vanilla and Raspberry. It’s a fragrance of epic proportions! The thrill of the fight, and the audacity of power. 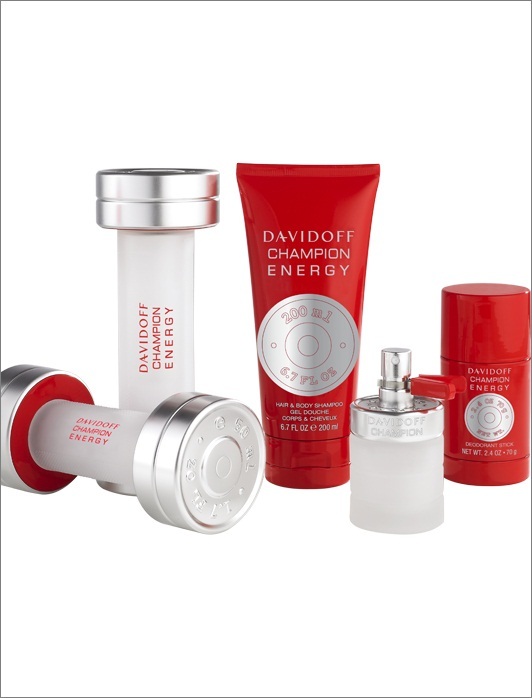 Davidoff Champion Energy is an energetic cocktail, with tonifying notes of Grapefruit and Bergamot at the opening, and a heart of Galbanum and Fresh spices. A drydown of Cedarwood and Oakmoss make for a resonant and memorable finish. The original Champion flacon is reworked in fresh frosted glass, steel and touched of red. This luxurious addition to the DKNY Be Delicious family is a more sophisticated take of the fruitiness of the apple. With its sensual and warm touches, Golden Delicious sparkles with the glistening flora of Orange Flower and Golden Delicious Apple, with Casablanca Lily and Vanilla Orchid in the heart. The familiar bottle is deified in molten gold, with a majestic golden juice. The wait for the hotly anticipated debut scent from celebrated couturier Elie Saab is almost over! The fragrance is described as “an ode to light”, celebrating the splendour of Elie Saab’s native Lebanon and the brilliance of radiant femininity. Notes of Orange Blossom, Jasmine, Cedarwood, and Rose Honey make for an exceptional fragrance for exceptional moments. This pair of completely new fragrances are set to reinvigorate the CK brand with a big dose of rebellious energy. CK Shock for Her is an addictive floriental scent with a juicy blend of Passion Flower, Pink Peony, a drizzle of Liquid Chocolate, and a base of Amber and Patchouli. CK Shock for Him is a pulsating, dynamic scent built around the unusual accord of Red Bull, with added Clementine, Cucumber, Black Pepper and Tobacco Absolute. This entry was posted on Thursday, July 14th, 2011 at 8:00 am and is filed under Fragrance, New products. You can follow any responses to this entry through the RSS 2.0 feed. You can skip to the end and leave a response. Pinging is currently not allowed.